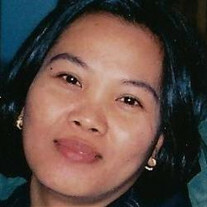 Gregoria N. Maguigad, 54, of Pasco, died April 24 in Pasco. She was born in Tuguegarao, Philippines, and lived in Pasco for 14 years. The family of Gregoria N Maguigad created this Life Tributes page to make it easy to share your memories. Send flowers to the Maguigad's family.